« The 7th Badacsony Region Wineries – New York Palace Budapest – 2018. St. Patrick’s Day Parade – Budapest – 2018. Not really, but everyone is Irish on Sunday, March, 18., St. Patrick’s Day festivities are celebrated around the world of Irish culture. 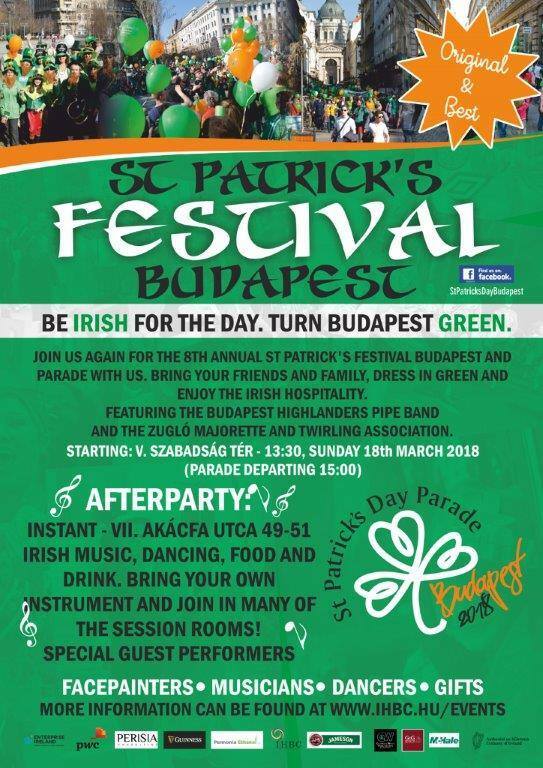 The St. Patrick’s Day Parade in Budapest, organized by the Irish Hungarian Business Circle, promises to be a lot of fun. Irish music, dance, food & drink. The parade starts at 1.30 p.m. (departure at 3 p.m.) on Sunday, March 18th on Szabadság Square- Budapest. Amusement, fun and surprises await! Balloons, face painters, stilts, Zugló – marionette groups, children’s programs – Irish music – food – beverages. St. Patrick’s Day is celebrated on March 17th. It’s an Irish holiday, named after St. Patrick, a 5th century priest, founder of the Irish Church and patron saint of Ireland. It’s a religious feast, which has been observed over many centuries. 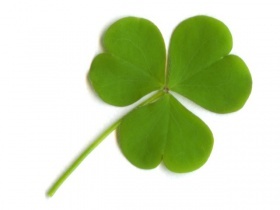 On St. Patrick’s Day Irish families would traditionally attend church in the morning and celebrate in the afternoon. Today, St. Patrick’s Day is a celebration of Irish culture worldwide, with the St. Patrick’s Day Parade being one of the highlights of the festivities everywhere. The tradition of wearing something green on this day goes back to the 17th century, when green ribbons were worn. Get together with Green Outfits … Gadgets!